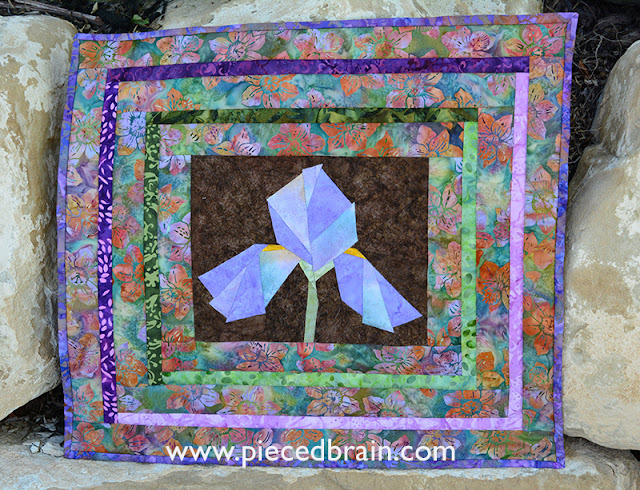 I made this center Iris flower block many moons ago during a class in Draper, Utah, with my friend Cathie. My original post is from June 2012 (see it here). It was so much fun and so much work! It uses Ruth McDowell's straight line method of piecing and the Iris pattern can be found in her book "Pieced Flowers". I pulled this block out of my orphan block stash a few times in hopes I would turn it into something special, but I could not come up with any ideas that would do it justice. Perhaps inspired by these beautiful flowers I found walking through my neighborhood, I chose to just add simple borders around the block. 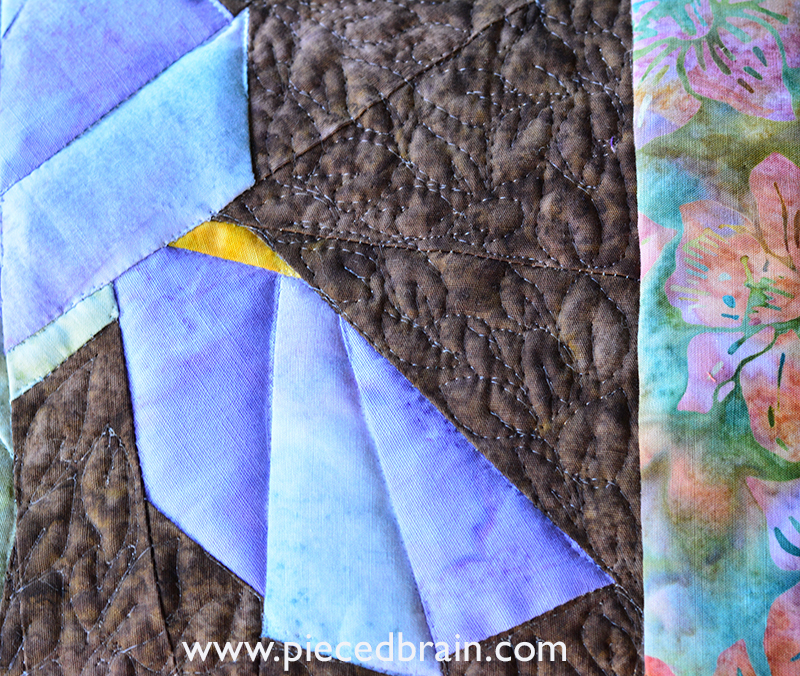 I picked scraps from my batik drawer (I found the perfect colors on a leftover, long strip of batik I had used as border on another quilt - yes!) and stitched them around the center block. The narrower borders were added 'log-cabin style'. This 17-1/2" x 19-1/2" wall hanging was pieced with Aurifil 50 wt and quilted entirely with Aurifil monofilament as I did not want to detract from the colors used. 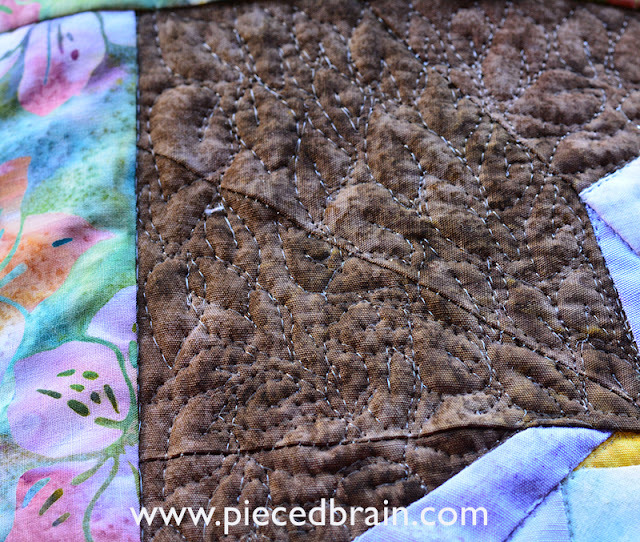 To add more texture and to bring out the Iris I quilted tiny flowers on the brown background. Then, I stitched in the ditch around the flower and borders. Nothing else. It hangs flat, do not fear, because the heavy quilting was done far away enough from the edges of the quilt. Batiks have amazing colors and I had the perfect fabrics for this project. The Iris seems to stand out in the middle of the garden (represented by the flowers and other textures of the batiks on the borders). I will treasure this little quilt forever with its bright colors and floral motifs. This has been a very busy summer: graduation, my mom was here from Brazil for two months, vacation at the beach, designing and writing patterns for Timeless Treasures Fabrics, working on a quilt due at Quilter's World magazine offices by the second week of August... However, I have some cool quilt book reviews to share with you, as well as other projects, so stay tuned! I will link this post to Crazy Mom Quilts and Confessions of a Fabric Addict on Friday. Check out their blogs! Thank you! It is a keeper! I love Iris and this is perfect. Is there a pattern for the Iris or did you create it from the method? I went back to the earlier post but only found reference to the class you took and Ruth McDowell's books. 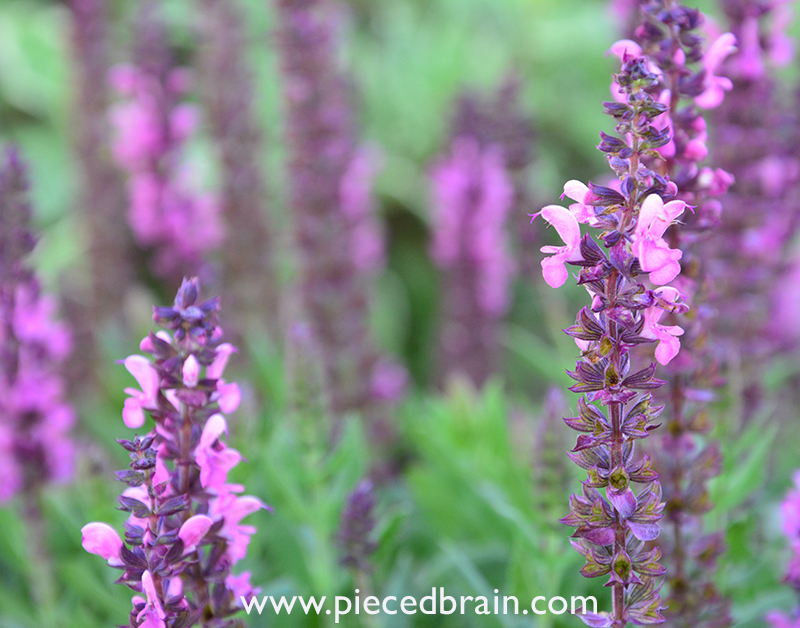 Her book is "Pieced Flowers". I have updated the blog post to include it, as well as a link to her site where you can find it. Thanks!